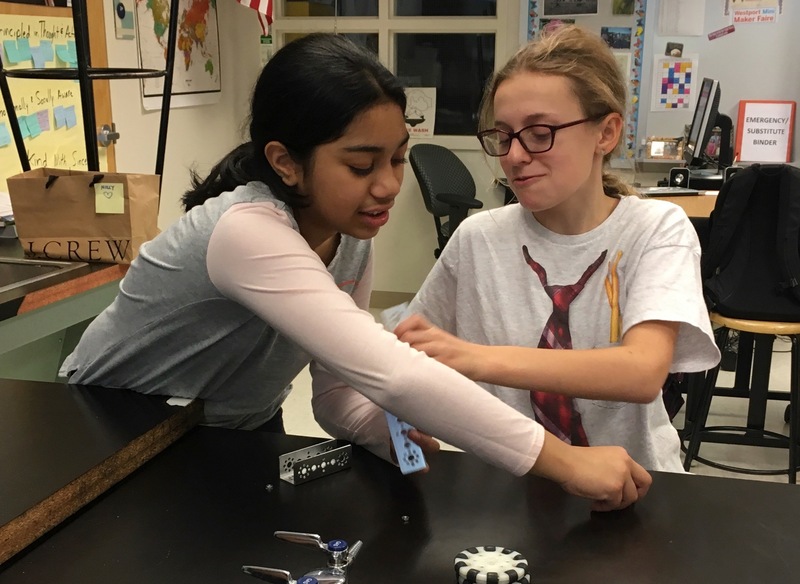 Today, four of our team members held a mechanical engineering workshop for 5th-8th grade girls at one of our local middle schools as a continuation of our electrical engineering and computer science workshop in November. 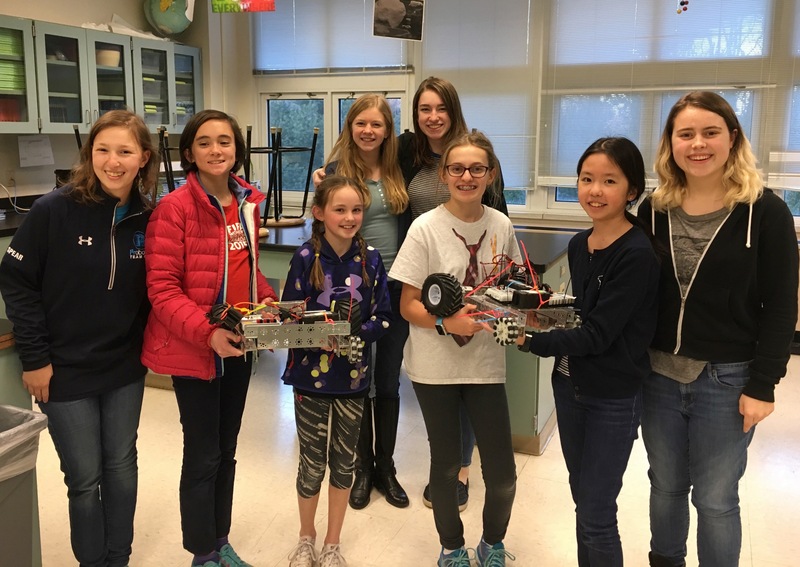 We all had a fun, collaborative time, whilest encouraging girls to join STEM and robotics! The girls with their finished robots! To start, we introduced FIRST, FTC, our team and Mechanical engineering with a small presentation. Then, we split the girls into two groups and began to build the robots. This time we had bigger, more intricate robots with tetrix parts. The robots included four wheels, two of them powered by motors. Molly and Phoebe setting up for the workshop! After we finished, Nathanael helped with a bit of basic programming, and the girls were able to run both robots! It was encouraging to see these girls so excited, as most of them took photos and videos of their robots! 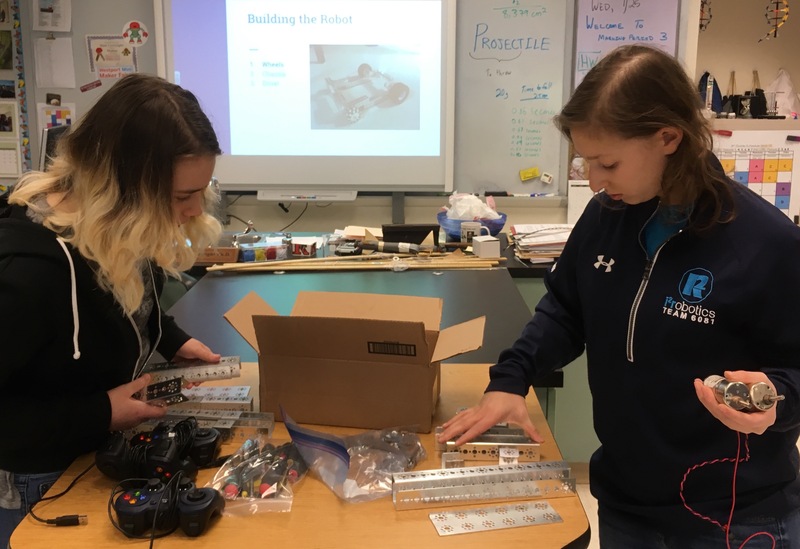 Two middle school girls building their robots! We thought that this workshop was very successful and it was great to see the continuation -- we even had some of the same girls show up! Also, it was great to see these girls learn, work together, and end up having a lot of fun!